1. Visit to the Alhambra and Generalife 2.30 hours aprox. 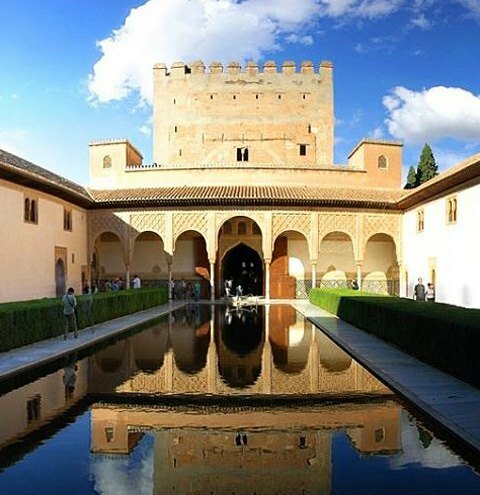 Alhambra is the most interesting monument in Granada and the most beautiful Arab art built in any time or any country. 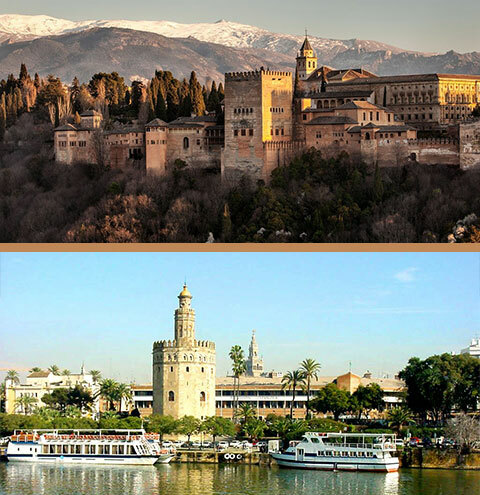 Alhambra is named after its reddish walls (qa´lat al Hamra). 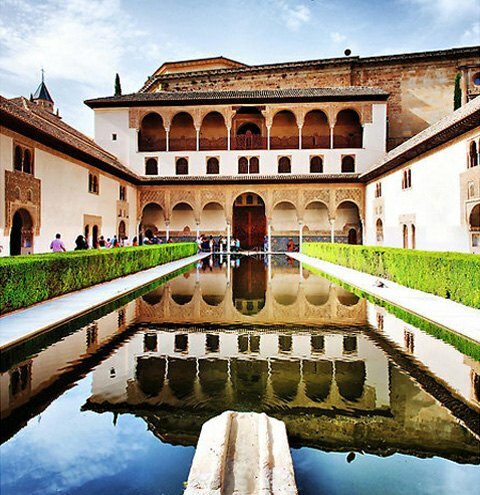 It was the leisure residence of the Nasrid Royalty. It rises over the al-Sabika Hill, overlooking the whole city. 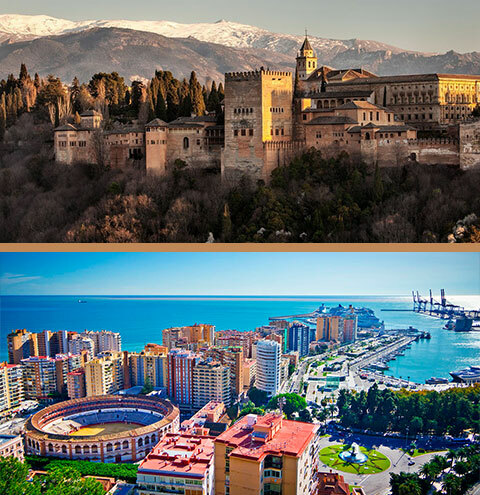 This huge precinct and its surroundings have wonderful sights over the city, above all over its main quarters (Albaicin, Alcazaba,.). Inside the Alhambra we stressed the Lions Court, named after the fountain in the centre laying over 12 lions; the Court of the Myrtles, where the central pond reflects the light inside the rooms around; the Ambassadors Room, whose ceiling represents the seven heavens of Islamic cosmology; Charles V Palace. Generalife is adjacent to the Alhambra. In the Generalife you will admire beautiful water games, ponds, and really well cared gardens plenty of flowers. See diagram below. Children: Up to 3 years old, free without services. Children prices availables from 4 to 11 years old. 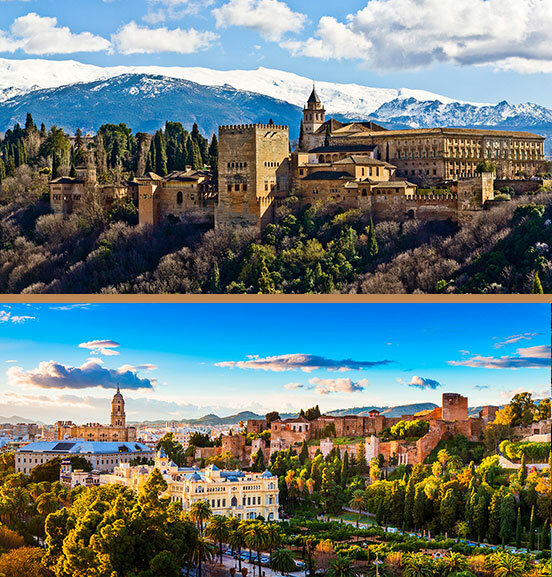 go and return transport, guide, Alhambra and Generalife tickets, and lunch (optional). (Optional, lunch extra charge adults:18,00 €. Children: 13,50 €). The meeting point is usually your hotel. If you do not have any hotel, the meeting point will be later confirmed.